These recipes are based on starting with uncooked diced turkey breast. If you’re using cooked leftovers, put the turkey in towards the end of the dish, so as not to overcook it. Looking for recipe inspiration? What to cook with diced turkey mince? Here is a selection of ones we like. Ottolenghi - we like his recipes, nice and light & lots of herbs & spices. Ottolenghi's marinated turkey breast with cumin, coriander and white wine with fresh mint, parsley, corriander and lemon. British Turkey's - Spiced turkey breast curry with spinach and Cauliflower rice. Using spices including fenugreek, cumin seeds, turmeric and ginger. 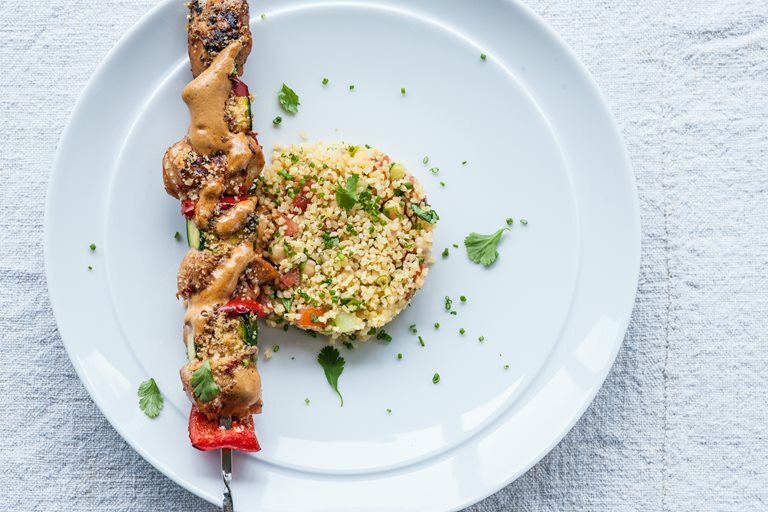 Great British chef's moroccan spiced turkey kebabs with bulgur salad, just turkey, peppers, courgettes, marinaded in soy and fish sauce. Great British chef's turkey tagine - (no apricots or sultanas) just 1kg turkey breast and fresh ingredients like peppers, tomatoes, garlic and ginger.